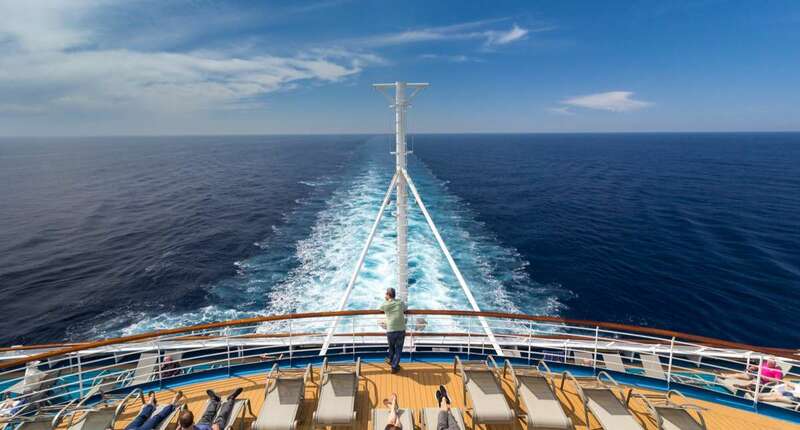 Heading out to sea for your first or next solo cruise? Fun activities await. And, as an unaccompanied traveller, you get to choose every one of them. Solo cruisers generally fall into three camps of travellers: those who want their own quiet time, those who want to make new friends, and those who land in the middle, looking for a combination of activities for introspection and interaction. Whatever your preference, creating your ideal holiday with the best activities begins in the planning stage, and, if it does, should end with happy memories of an activity-rich solo cruise. Choose your ship based on the type of activities onboard and the opportunities in ports of call. For example, if the ship promotes all-night dancing, rock wall-climbing competitions, and video game marathons and you are not keen, find another ship. Or search the itineraries for a ‘theme cruise’ on a topic that catches your interest. Also, browse shore excursions planned by the cruise line to see if any look promising. Once you’ve boarded the ship, find ‘first-day’ activities for singles. There will probably be a ‘meet-and-mingle’-style party (which may even include free champagne!). You may also want to ask the staff where to find the singles’ lounge and/or piano bar. Both locations are popular for solo travellers. Everyone is new on board, and fresh off the gangway is the perfect time to find your first new friends. There’s no better way to overcome shyness, release inhibitions, and just plain bond with others than participating in a silly activity. Perhaps cruise lines know this, because they often give you the chance to sing your heart out at karaoke, nail the perfect belly flop in a poolside competition, get your groove on in a dance-off, or match wits over the endless minutiae highlighted in a trivia game during your solo cruise. Some of my favourite activities on a cruise are classes and workshops. Ever the nerd, I love to learn about…well, almost anything. Cruise lines offer the chance to cook with chefs, taste wines from around the world, or grab some key phrases in another language. As a crossover with the ‘get silly’ recommendations, you might even try belly-dancing or acting classes. These types of onboard events should satisfy you, whether you’re quiet, outgoing or in the middle. As the cruise docks in all those exotic ports of call (and you spotted some fun shore excursions when you booked), hop off the ship. You can approach these activities in one of two ways: 1) join your shipmates on cruise-line-organized activities, or 2) set off on your own in search of adventure. The first option will allow you to build on those new friendships. The second lets you keep your own schedule and explore whatever you please. For the second option, you may also want to book a tour with a local company. These generally have smaller numbers in the group – and you get a real taste of local culture. Either way, check and double-check the time for re-boarding – that ship will not wait for you. Ultimately, the best activities for solo cruisers are the ones you handpick for yourself. Bon voyage!